The U.S. economy has staged an impressively steady (if too slow) recovery from the Great Recession. But more than 7 years in, genuine full employment has not been reached—and until it is there is no reason for the Federal Reserve to begin the process of reining in economic growth. This is frustrating to many central bankers, who have traditionally seen their primary job as making sure that the economy does not grow too fast and generate wage and price inflation. But the economy has decisively changed, and it is sustaining growth, not restraining it, that has become the central problem to be solved. The old school of central banking that demanded comparatively hair-trigger responses to inflation is based on the experiences of the 1970s. Today’s central bankers should instead pay a lot more attention to the 1990s. Today’s unemployment rate sits at 4.9 percent. This represents tremendous progress from the late-2009 unemployment peak of 10.0 percent. And many policymakers think that 4.9 percent unemployment clearly constitutes full employment—the lowest unemployment can fall without sparking an unsustainable spiral of wage and price inflation. But there is very little evidence that this is the case. For example, between 2005 and 2007, the unemployment rate averaged 4.8 percent, yet inflation-adjusted wages for the large majority of American workers fell in those years. And since the recovery from the Great Recession began, both wage and price growth have fallen well below targets the Fed sets for a healthy economy. So the key question is why is there pressure to raise rates ahead of data indicating any swell of wage and price growth pressure? The answer is largely: the 1970s. The worry is that the rapid increase in inflation that occurred in that decade, with wages and prices chasing each other upwards for a long spell of time, tells us that inflation can seem quiescent but then leap forward quickly. This 1970s wage/price spiral is the primary episode that informs many central bankers’ thinking on why they must always keep a firm hand on the reins of inflation. But it’s not the 1970s anymore. Specifically, the institutions and the economic environment that empowered workers to respond to price increases with enforceable demands for real (inflation-adjusted) wage increases and led to wage/price spirals are just not here anymore. The share of workers in unions, for example, has dropped by more than half—and even those workers in unions these days very rarely have contracts that fully protect their wages from inflation. 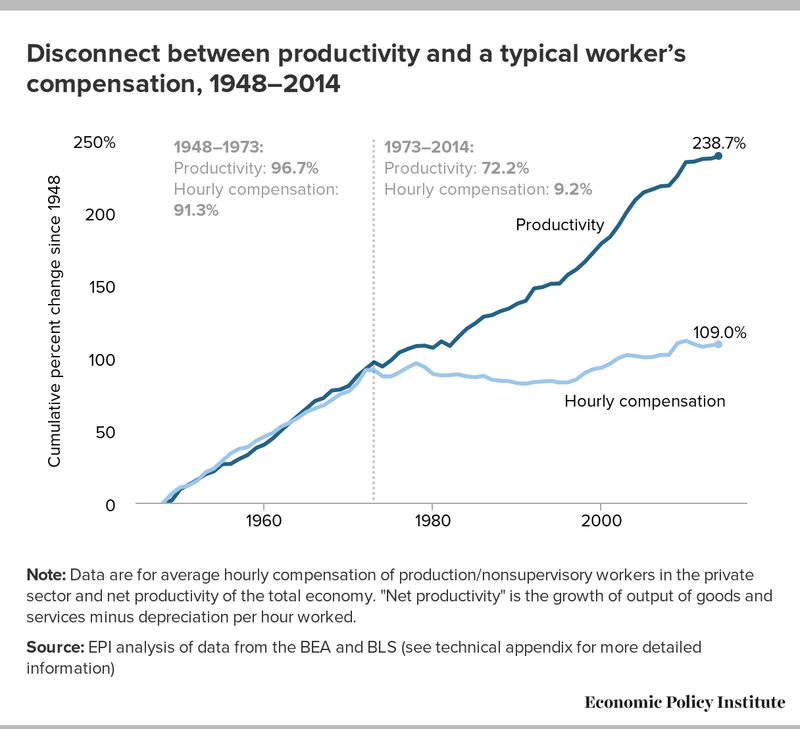 The federal minimum wage is much less binding today—it rose along with economy-wide productivity for 30 years before the 1970s, but its real value is lower today than it was in 1968, even as productivity has doubled since then. Going into the 1970s, inflation-adjusted wages for American workers had risen 2 percent annually for decades, and in the years leading up to the 1970s, the overall unemployment rate had been below for 4 percent for five straight years. 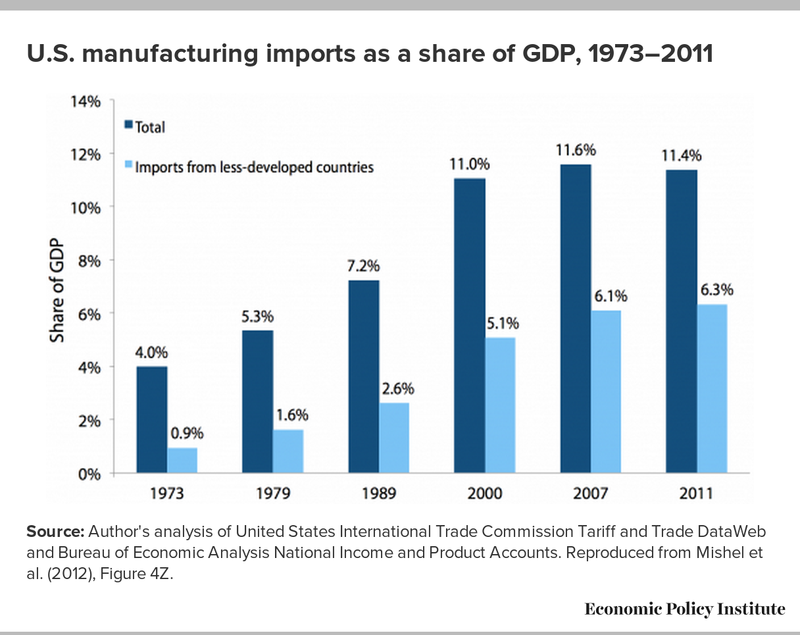 Trade with much-poorer nations was trivial compared with today’s more-open economy. In short, the tinder for the 1970s wage/price spiral was American workers’ enforceable real wage aspirations of 2 percent per year. Moreover, this tinder needed a spark—and the 1970s provided it, with two oil price shocks that quadrupled the price of oil, as well as a shuddering slowdown in economy-wide productivity. All of the sudden, the U.S. economy could not deliver the wage growth that American workers had become used to, but because workers had some actual clout they continued to demand it. The 1970s inflation was largely a story of employers and workers trying to protect profits and wages respectively by ratcheting up prices and pay. None of this tinder exists in today’s economy. Unionization rates are low and contracts are not indexed. 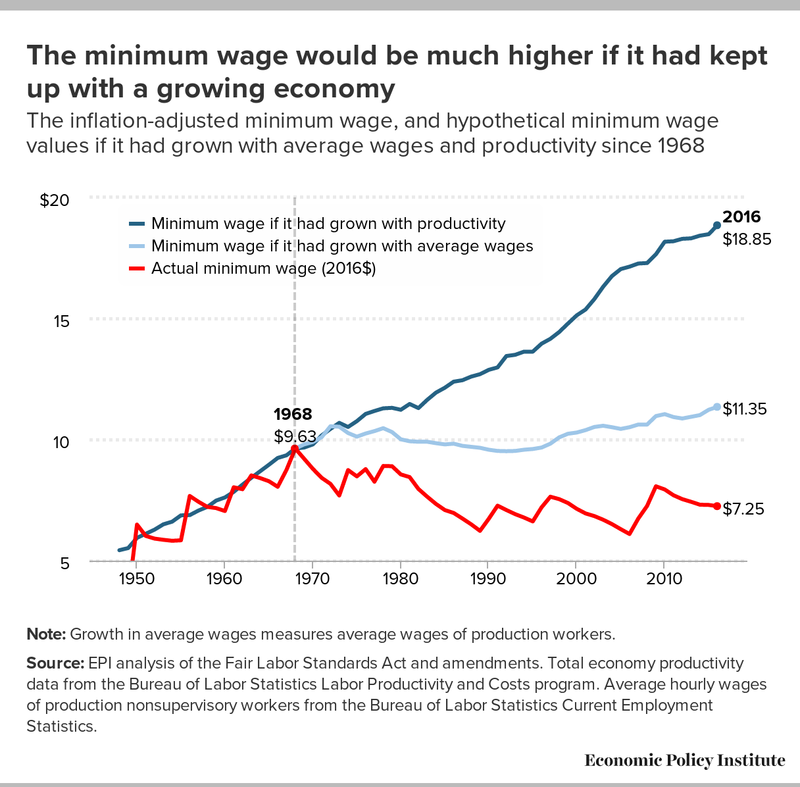 The federal minimum wage is historically low. Unemployment has been high, not low, in recent years. Trade flows are large, not small. And American workers have certainly not been used to enforcing rapid wage growth in recent years. All in all, the 1970s are the wrong place to look for lessons regarding today’s monetary policy decisions. The 1990s are a better place. In 1996 many economic observes (including Federal Reserve officials) looked at low and falling unemployment and argued that the pace of growth had to be reined in avoid wage/price spirals. To his credit, Fed Chair Alan Greenspan disagreed, and let unemployment continue falling past the point that others thought sustainable. And no wage/price spiral developed. What did develop was the first strong, across-the-board wage growth in a generation. Poverty rates fell sharply. Hours of work and income for low-wage households grew rapidly. Even the federal budget benefited, with strong economic growth driving surpluses. This happy story was not ended by inflation storming out and blindsiding a complacent Fed. It ended when the stock market bubble burst. The low unemployment of the late 1990s was fully sustainable, only the source of it was not. But there’s no reason today to think we can’t replicate the outcome of the 1990s tight labor markets, we just need to make sure these tight labor markets rest on a solid foundation.